Home Uncategorized The Petersham Nurseries – A hidden Gem. The Petersham Nurseries and Café in Richmond is one of those many hidden gems that London has to offer. A short train ride from hustle and bustle of London and you reach this beautiful place called Richmond. You can get to the main town of Richmond with regular trains from London Waterloo. If you looking to drive a 45 minute drive away from Central London and yes traffic permitting. You can whizz down the M25 and head to Pembroke Lodge in Richmond Park where you can park. You get all the London benefits like good shopping, a lively town, a Wholefoods Store, even red buses! It’s a beautiful town with the Thames running through and an abundance of green space. Kew Gardens and Richmond Park is just down the road and it’s a beautiful and historical place to visit. A little slice of countryside where you can escape the hustle and bustle of the city life and get back to simple pleasures of life. The Nursery sells everything you could ever need for your beautiful garden and everything you could ever want to furnish your slightly eccentric bohemian lifestyle. The main attraction however is the Café and Restaurant. We usually visit the café with the children on a summer’s day and yes it is one of the most picturesque cafes you will ever visit. The restaurant is in a glasshouse within the garden centre and you’re completely surrounded by the prettiest flowers and plants. There is something peaceful and relaxing about this place even though it’s always bustling with locals and tourists. The tables are beautifully decorated with flowers grown on site and there’s such a mismatch of vintage tables and chairs. It’s always a treat visiting Petersham Nurseries, and an inspiration to take home. Everything is beautifully done throughout the greenhouses and outside areas. The furniture and antique garden ornaments are beautiful but a little pricey! It’s one of the oldest and most famous nurseries in London. If you want a more a special lunch then book the restaurant which used to be Michelin starred. This is one of the most child friendly and yes dog friendly places you can come across when visiting London. A must visit if you are a tourist or a local as there is always something magical about this place that makes me leave with a smile. Church Lane, Petersham Road, Richmond TW10 7AB. Previous articleBudapest – A Long Weekend. Next articleRegents Park – A fun day out in London. What a gorgeous little gem of a place! It is exactly the kind of space I gravitate to. Love your photographs. Thanks. It is s gem. Love the decorum, great post. 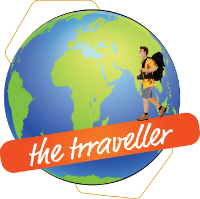 How traveled am I…over 60 countries globally. Ohhh…. what a find. it would be blissful to sit here and enjoy a cuppa. I love this article. I’m so obsessed with the idea of an eccentric bohemian lifestyle so I’d love to visit this nursery and grab some stuff from there. What a beautiful garden! I love finding places that are popular with the locals as well as tourists. I think that the mismatched tables add to the whimsy of the cafe! I’ve been to London a few times, but haven’t heard of Petersham Nursuries before. It looks like a beautiful place to spend a few hours and get out of the city. I can never seem to keep plants alive, but I do love walking through gardens and nurseries to see different flowers and plants. Wow! The nursery looks so beautiful with all the flowers! I could spend all day there. I will definitely keep this place in mind if I visit London! I have a green thumb, though I hardly get time to tend to gardening! Though I do love visiting well maintained nurseries and botanical gardens. The café is indeed gorgeous! What a wonderful idea. I would love to dine in a place surrounded by plants and flowers. As you said, it’s so calming an peaceful! I love flowers, so this place is for me as you have mentioned that Petersham nursery has prettiest flowers. Also a small train ride from busy city life of London to Richmond must be fun and relaxing. I love those antique doors and furnitures as this places. Michelin starred cafe sounds interesting. Thanks for sharing hidden gem near London. Given a choice between a city and countryside, I would always go for countryside. I love those peaceful environment, friendly people and the culture outside city. The Richmond looks perfect to me. The Cafe is undoubtedly one of the picturesque one with floral decoration in each corner. There are so much to cover whenever I land in London. What a beautiful and shabby-looking restaurant! Its unique with many florals and lemons 😀 I bet dining here is such an awesome experience and smelling those natural scents. Wow! Petersham Nurseries is indeed a hidden gem. The place looks like a piece of paradise for nature lovers like me. I love its rustic and nature friendly decor. Everything around looks so beautiful, fresh and magical – definitely a must-visit place. What an adorable little spot! I would love to go there one day. I love all the antiques and flowers. Does the cafe do Afternoon Tea? The cafe does do afternoon teas. This is really a hidden gem! It muse be such a beautiful experience to spend your day in the nursery among these plants. My uncle who lives in Hull is an ardent gardener and I will definitely tell him about this if he doesn’t know already.